Gutted that Apple no longer repairs the iPhone 3G? Don't worry - Fixspot still does! And for a much lower price than any Apple repairs. Apple now classify the iPhone 3G as "vintage" and obsolete. They stop repairs of all products seven years after releasing them. But Apple made a pretty great product with the iPhone 3G - the original iPhone. While they have changed the iPhone a lot with their later models, the iPhone 3G remains as classic and versatile as ever. So if you're still happy with your iPhone 3G, why replace it? We say keep using it - why not? Especially when our repairs are so cheap! 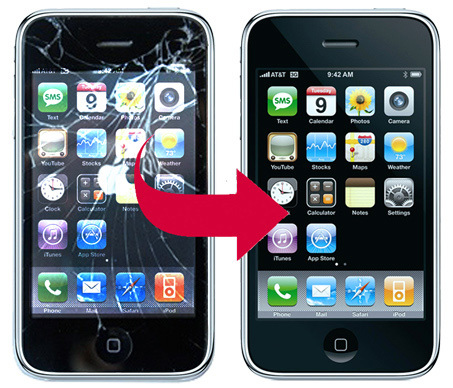 Our repair prices are so low at Fixspot, you'll always be able to repair your iPhone 3GS for cheaper than replacing it. No matter your damage, we can fix it - and all at an amazingly affordable cost. One of the good things about the iPhone 3G being a less recent product is that the parts are not quite as expensive as the parts for say, the iPhone 6. This means we can keep our iPhone 3G prices as low as low can be - all to keep, you, our customer happy! If you need further information on our iPhone 3G repairs at our Melbourne CBD store, please don't hesitate to contact us.